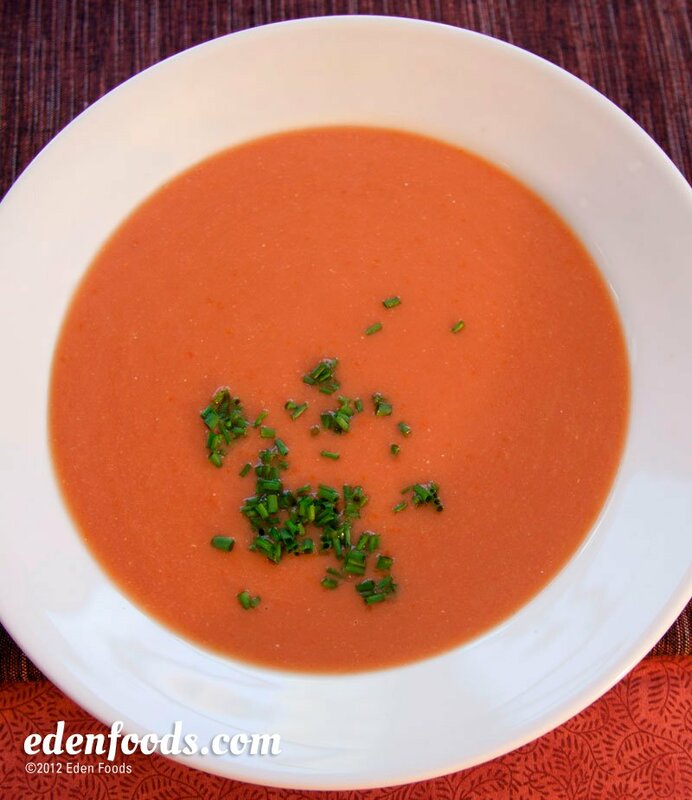 Place beans and tomatoes in a blender and puree until creamy. Place in a sauce pan, add salt and Edensoy. Turn flame to medium, mixing frequently and bring almost to a boil. Reduce flame to low and simmer 5 minutes. Garnish with chives and serve.